Guest encyclopaedia entry by Professor John Stewart. Pictured: Lord (John) Boyd Orr of Brechin (1880-1971). The National Health Service (NHS) is often, and quite rightly, cited as one of the institutions which make people most proud to be British. Nonetheless within the United Kingdom there is not one NHS, but rather three. When the post-war Labour government was building the welfare state three separate health service acts were passed – one for England and Wales (1946), one for Scotland (1947), and one for Northern Ireland (1948). From a patient’s perspective, all three systems would have appeared virtually identical and, in principle at any rate, the care received by a UK citizen in Glasgow would be the same as that received in Manchester, Belfast, or Cardiff. But the fact that three separate pieces of legislation were required lies in historical differences between the constituent parts of the UK and has ongoing, serious, and possibly long-term implications. Here we examine the particular case of Scotland. When the Scottish and English parliaments were united in 1707 (the ‘Union’) certain areas of Scottish life nonetheless remained under the supervision of distinctively Scottish administrative bodies. Roughly speaking, these were religion, the law, education, and what we would now call welfare. So, for example, when public sector hospitals came to be developed in late nineteenth century Scotland they were under the control of local Poor Law committees which in turn were responsible to the relevant part of the Scottish Office (and, thereby, the Secretary of State for Scotland). With local government reform in the late 1920s many of these hospitals were taken over by municipal authorities, but again with ultimate responsibility residing with the Scottish Office. This ‘relative autonomy’ which Scotland enjoyed in health care matters also allowed for certain innovations prior to the coming of the NHS, the most dramatic of which was the creation of the Highlands and Islands Medical Service (HIMS). Sometimes rather misleadingly seen as a direct precursor of the NHS, the HIMS nonetheless provided a form of socialised health care to the remoter parts of Scotland. What it also recognised were the challenges of providing health care in remote, and geographically and climatically challenging, parts of the country. Many of the northern and western islands, for instance, might be cut off for long periods during the winter months. Another characteristic of Scottish medicine and health care was that the country’s medical schools saw themselves, with some justification, as among the best in Europe and certainly better than most of their English equivalents. Partly as a result of the high standing of Scottish medical education these schools became net exporters of doctors in the nineteenth century with many of those trained at Scottish universities working in the British Empire. Scotland also had its own Royal Colleges (for instance, the Royal College of Physicians and Surgeons of Glasgow) and medical publications. 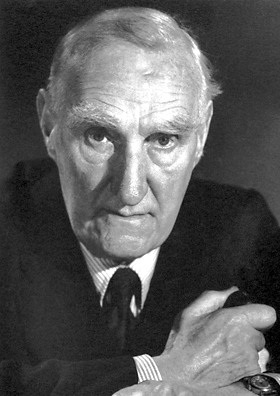 Scottish medical scientists, for example John Boyd Orr (later a Nobel Laureate), were carrying out important work in nutritional science in the pre-war era (particularly important given the relationship, denied by the government, between poverty and malnourishment). The Scottish medical ‘establishment’ was thus powerful, independent, and self-confident. But it was not until the last quarter of the twentieth century that really serious difficulties arose, particularly after the advent of the Thatcher government in 1979. This in itself is a reminder, were one needed, that health care and health policy is a highly politicised issue. In pursuit of the ever-elusive ‘efficiency’ in the NHS Conservative administrations from 1979 to 1997 introduced measures such as the ‘internal market’ while, for instance, encouraging private health insurance schemes. Significantly, and very unusually, the legislation which sought to advance the ‘internal market’, the 1990 National Health Service and Community Care Act, applied to the whole of the UK and not just England and Wales. Such reforms proved unpopular in Scotland with both the general public and health care professionals, the 1990 Act being a particular cause for concern. And by this point there was, in addition, a further problem. For although the Conservatives were in power nationally their party had largely been rejected in Scotland – resulting in the so-called ‘democratic deficit’. So by the 1990s Scottish health and health services had become central to the growing movement for devolved political, as well as administrative, powers for the country. This was campaigned for under the slogan ‘Scottish solutions to Scottish problems’ which itself is revealing about the nation’s health . For despite higher levels of expenditure on the NHS in Scotland than in most other parts of the UK, Scottish health outcomes were significantly poorer (and indeed poorer than many countries in Western Europe). In fact, this was a longstanding problem which long pre-dated the coming of the NHS and continues to be of concern to policy-makers up to the present day. It also raises serious questions about the relationship between health expenditure and health outcomes, hence the focus in many recent Scottish government initiatives on ‘lifestyle’ issues. In any event, with the advent of New Labour in 1997, and its commitment to political devolution, it was always going to be the case that running the NHS in Scotland would be one of the major powers devolved to the new Holyrood Parliament and its Members of the Scottish Parliament and Ministers. The Scots have thus been sheltered from many of the ‘reforms’ initiated by, in particular, the present Conservative government and its predecessor (as has Wales) and certain policy divergences have taken place, one early example being in the field of health and social care for the elderly. In this context it is notable what a prominent part ‘defending’ the NHS in Scotland played in the 2014 referendum campaign. And at a broader level it is now arguable that the Scottish service more closely adheres to the ‘spirit’ of reform in the late 1940s than does that in England and some have argued that while the service in England is driven by competition in Scotland a more consensual ethos prevails. But there are many uncertainties about the future. Scotland’s health services, for instance, continue to be financed in the last resort by the UK Treasury by way of a funding mechanism which many in England feel disproportionately, and unfairly, benefits the Scots. At the time of writing, meanwhile, the implications of Brexit for the NHS as a whole are unclear, while there is now a strong possibility of a second independence referendum in Scotland which could mark the end of the Union. And Scotland continues to have poor health outcomes when set against other, comparable societies. Welcoming the NHS in Scotland in the late 1940s the Scottish Secretary proclaimed his belief that it would be ‘an important milestone on the road to better health for Scotland’. As is so often the case, achieving this, now and in the future, is perhaps more problematic than at first envisaged. John Stewart is Emeritus Professor of Health History at Glasgow Caledonian University and a leading authority on the history of child guidance and the politics of healthcare and the welfare state in modern Britain. Cited in John Stewart, ‘The National Health Service in Scotland, 1947-74: Scottish or British?’, Historical Research, 76: 193 (2003). Lynn Abrams and Callum G. Brown (eds), A History of Everyday Life in Twentieth Century Scotland (Edinburgh University Press: 2010) – especially John Stewart’s chapter on ‘Sickness and Health’ and, for important health data, Callum G. Brown’s chapter on ‘Charting Everyday Experience’.